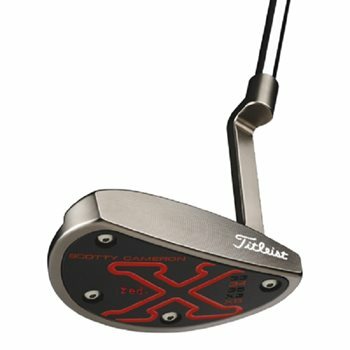 The Titleist Scotty Cameron Red X5 is precision milled from 303 Stainless Steel and finished with a black anodized aluminum soleplate. It features a plumbing neck with full-shaft offset for a contemporary look from address. The plumbing neck accentuates the soft lines of the body and gives a precise look at setup. Its glare-resistant Charcoal Mist finish and single sight line provides the discerning player a look they will love.